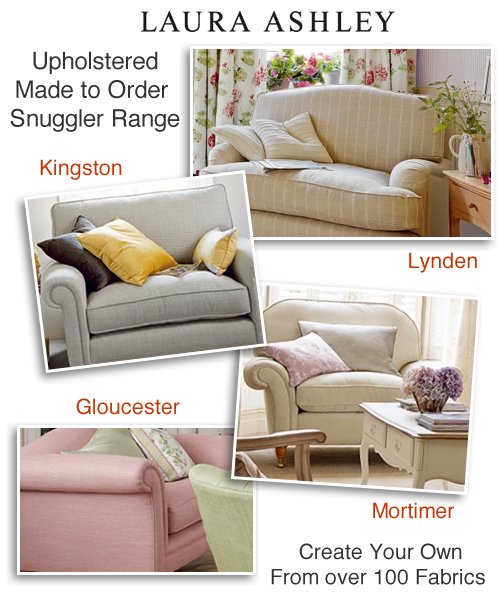 Give your living space a new look with the addition of a beautiful snuggler, armchair or sofa from Laura Ashley. Create your own from over 50 upholstery shapes in over 100 fabrics and 6 leather designs. With a fabulous array of colours to choose from including cerise, pink, charcoal grey, yellow, duck egg, blue, green, mauve, purple, natural, cream, gold and red you are sure to find that perfect combination. Choose your shape and colour plus the design from check, floral, herringbone, plain or stripe fabric then add the finishing touches with light oak or chestnut effect legs with chrome or brass castors. 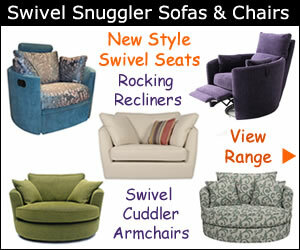 Snugglers, small sofas and occasional chairs are great for giving that extra room without taking up too much space. These roomy seats are ideal for one person to lounge comfortably as well as seating two snuggly. They make a stunning focal point placed by a window with a view or in a favourite corner of a room. 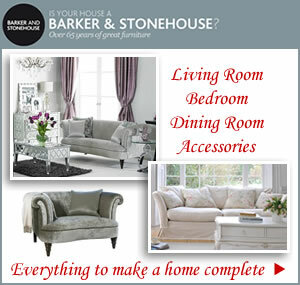 A selection of sofa shapes will help you create a fabulous look whether your home is traditional or ultra modern. Choose from designs such as Lynden, Kingston, Mortimer, Gloucester, Kendal and Padstow. Classical and simple styling to complement any room setting and elegantly curved back chairs with decorative scroll arms to give a romantic look and feel to your surroundings. Specially designed with comfort in mind Laura Ashley’s fixed or loose cover fabric loveseats are perfect for snuggling up with the kids or loved ones. 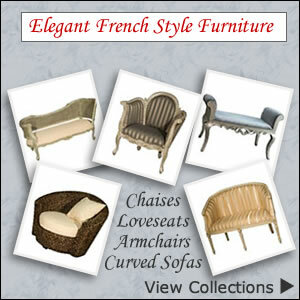 They make a real style statement with their exquisite fabric designs and finishes much loved by interior designers. Ideally suited for smaller areas where a large sofa, two seater or traditional sized armchair just wouldn’t suit the space as well. A choice of high quality leather snugglers add a sumptuous touch with foam and fibre filling for a firm and supportive seat and back rest.